Want to see a sample menu? Plus, chicken curry in the crockpot! 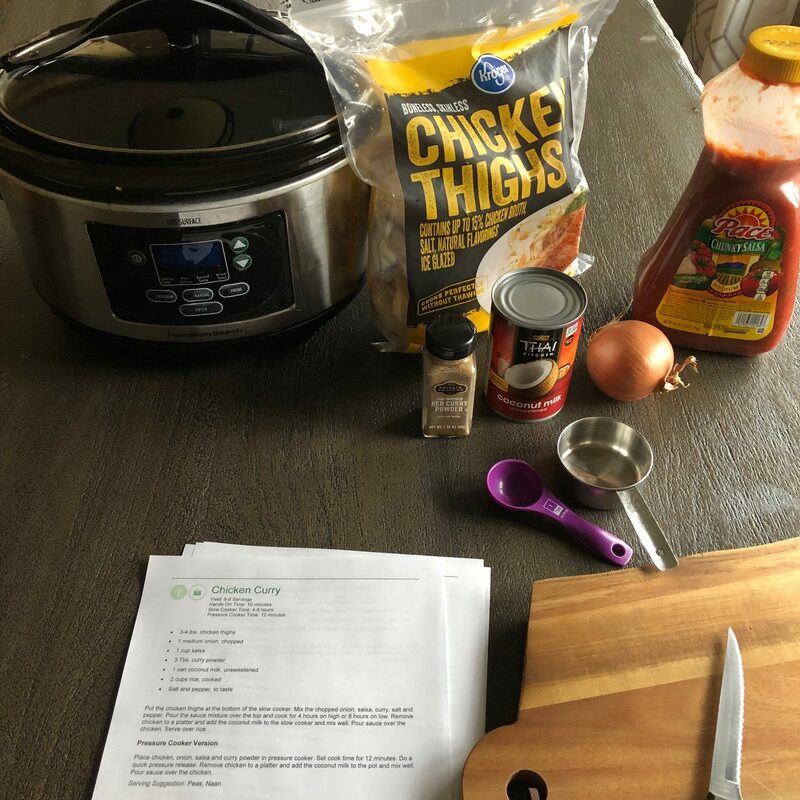 I’ve loved doing this Eat at Home Challenge with you and seeing all of the things you are cooking and hearing how this is helping you to save money and eat more dinners at home. Tomorrow is the last day of the challenge — and it’s also the day that the really fantastic price on the Eat at Home Menu plan service ends. 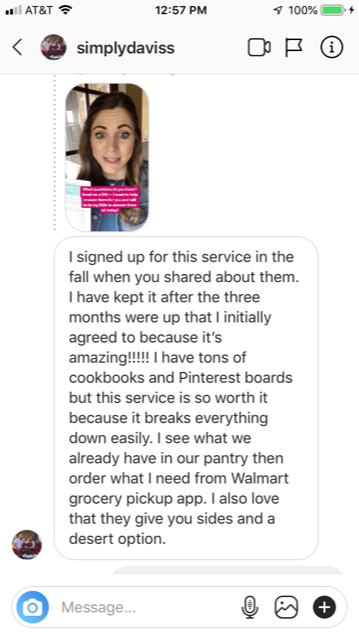 My favorite thing about the Eat at Home Menu Plan Service is that you don’t have to pick one menu plan — you get access to four complete menu plans every single week. Yes, that’s right! 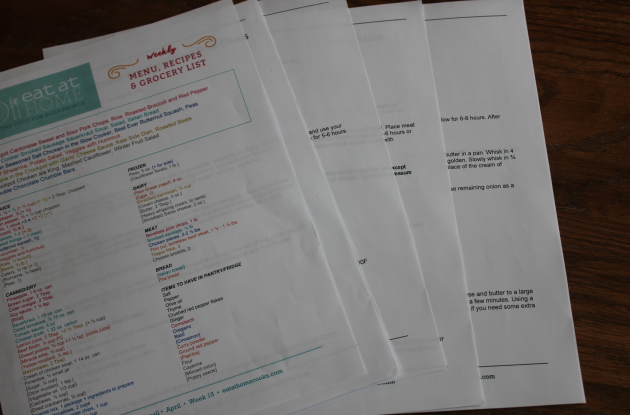 Want to See Some Sample Menu Plans? 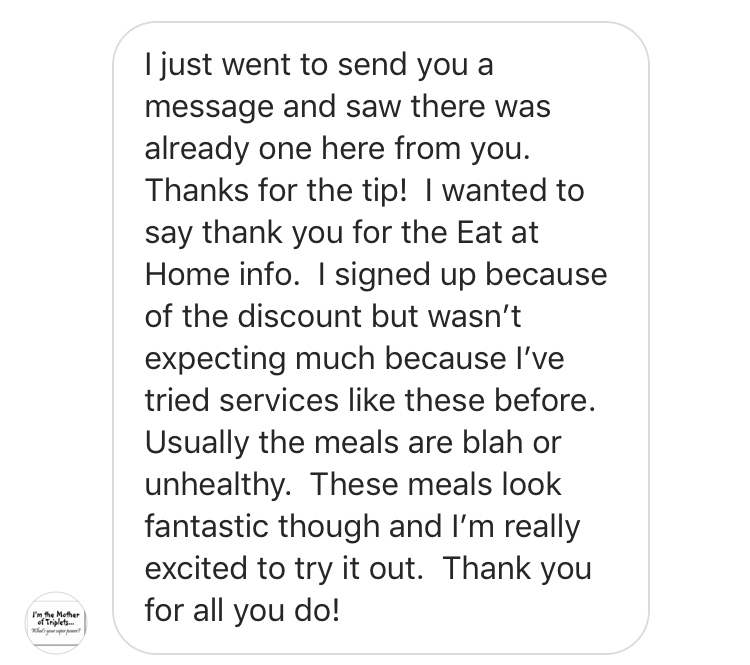 If you have been considering signing up for the Eat at Home menu plan service but are still on the fence, I wanted to let you know that you can view a sample menu plan for each of the 4 different menu plans you’ll get when you sign up for this service. Go check out the sample menu plans here. 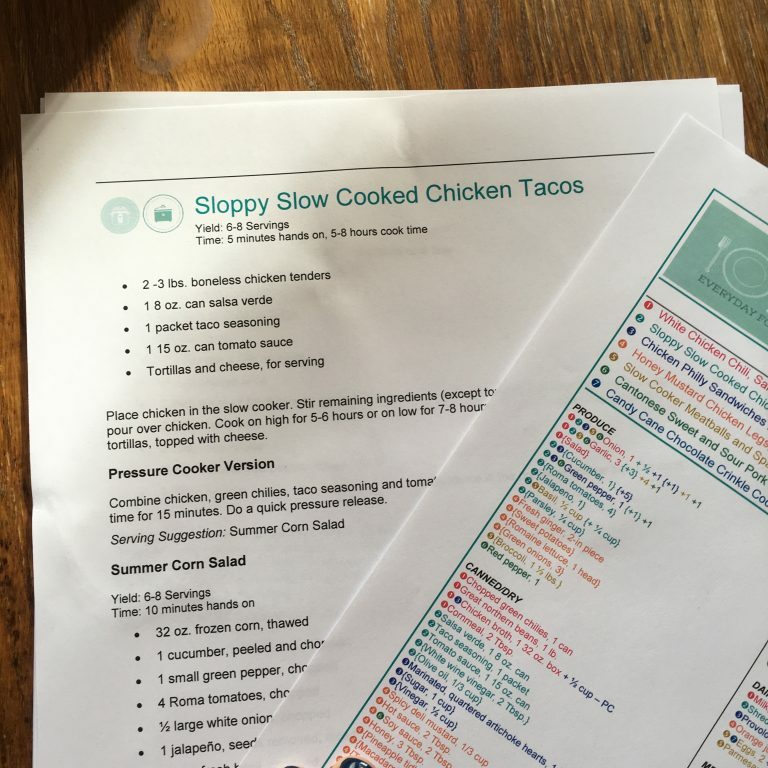 I love this menu-planning service and highly recommend it — especially if you struggle to come up with the time and inspiration to make your own menus. If you struggle to make menu plans and would love for someone to make them for you + make a grocery list for you, it’s well worth spending a few dollars every week to let Eat at Home do the work for you. Through Tuesday only (January 15, 2018), when you sign up for their plan (either the monthly plan, the quarterly plan, or the yearly plan) you can get 30% off by using coupon code NEW at checkout. Go sign up for this incredible menu-planning service here! Friday night’s dinner was Beef Fajitas and it was a HIT! Everyone loved it — definitely a recipe we’d make again and again! 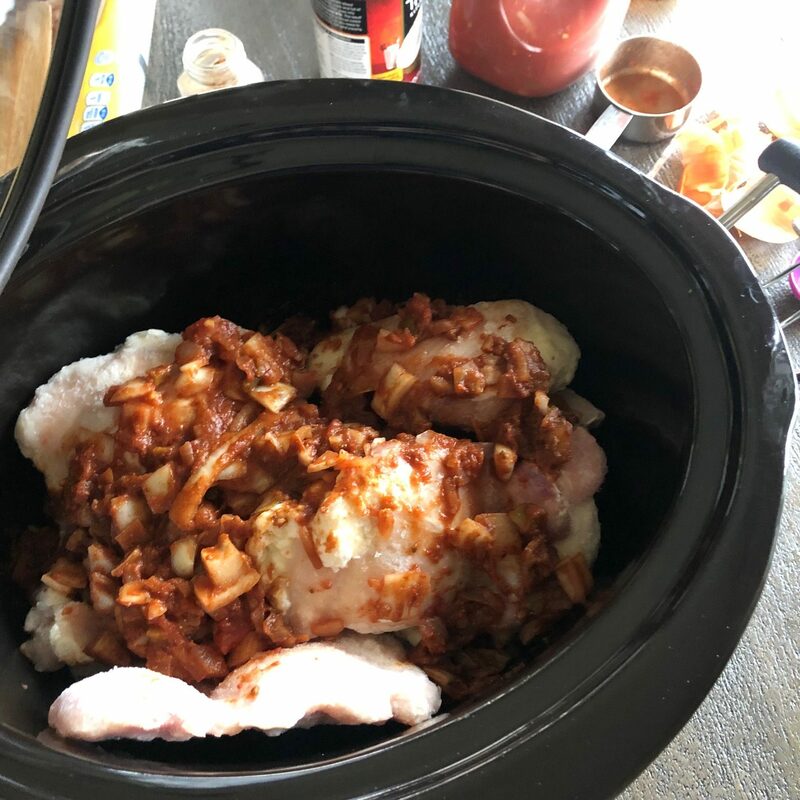 I made Chicken Curry in the crockpot today. I have actually never made curry before, but we ate a LOT of it when it visited India twice last year. So I’m excited to see how this turns out! I’ll let you know what we thought of the recipe! I think it’s going to be yummy! Thanks for joining me in this challenge. 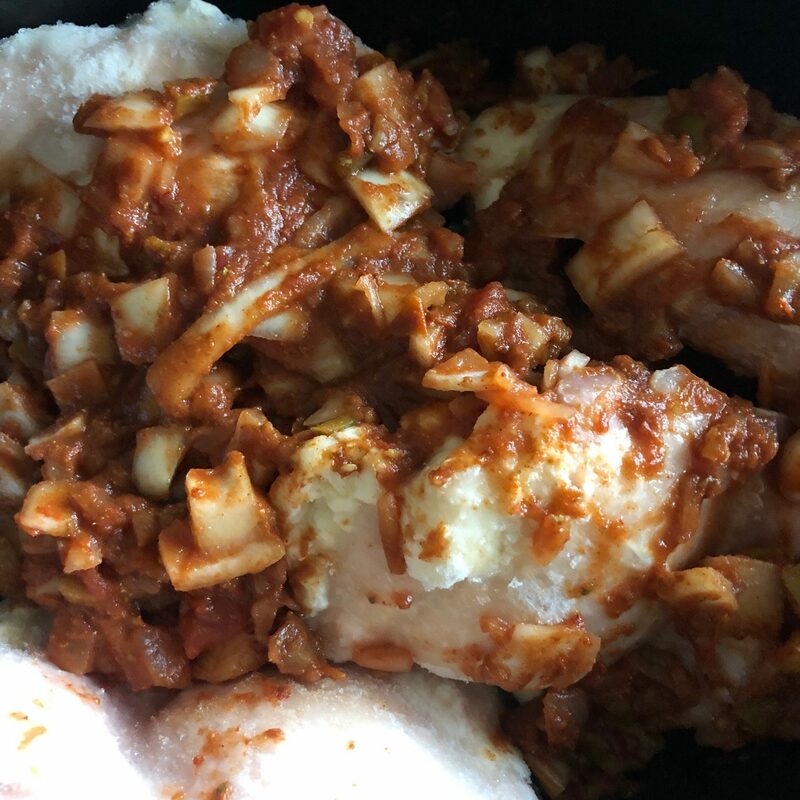 If you want to share what you cooked today, head over here to the Facebook Group and leave a comment and tell us! P.S. Don’t forget, the Eat at Home Menu Plan service is only on sale until tomorrow at midnight! Use coupon code NEW at checkout to get 30% off — that’s the lowest price you’ll get this year! Find more details on these fantastic menu plans here.